Sir William Jones FRS FRSE (28 September 1746 – 27 April 1794) was an Anglo-Welsh philologist, a puisne judge on the Supreme Court of Judicature at Fort William in Bengal, and a scholar of ancient India, particularly known for his proposition of the existence of a relationship among European and Indian languages, which would later be known as Indo-European languages. He, along with Henry Thomas Colebrooke and Nathaniel Halhed, founded the Asiatic Society of Bengal in 1784. In the Subcontinent he was entranced by Indian culture, an as-yet untouched field in European scholarship, and on 15 January 1784 he founded the Asiatic Society in Calcutta and started a journal called Asiatick Researches. He studied the Vedas with Rāmalocana, a pandit teaching at the Nadiya Hindu university, becoming a proficient Sanskritist. 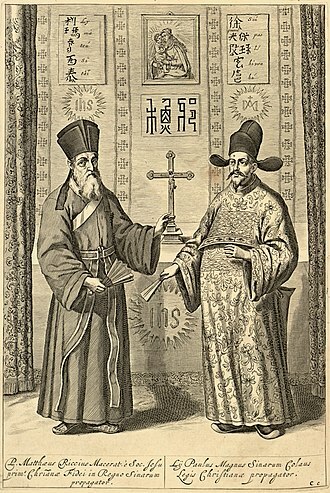 Jones kept up a ten-year correspondence on the topic of jyotisa or Hindu astronomy with fellow orientalist Samuel Davis. Jones is known today for making and propagating the observation about relationships between the Indo-European languages. In his Third Anniversary Discourse to the Asiatic Society (1786) he suggested that Sanskrit, Greek and Latin languages had a common root, and that indeed they may all be further related, in turn, to Gothic and the Celtic languages, as well as to Persian. Although his name is closely associated with this observation, he was not the first to make it. In the 16th century, European visitors to India became aware of similarities between Indian and European languages and as early as 1653 Van Boxhorn had published a proposal for a proto-language ("Scythian") for Germanic, Romance, Greek, Baltic, Slavic, Celtic and Iranian. 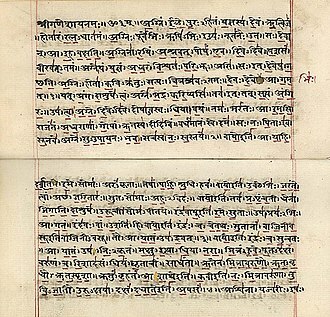 Finally, in a memoir sent to the French Academy of Sciences in 1767 Gaston-Laurent Coeurdoux, a French Jesuit who spent all his life in India, had specifically demonstrated the existing analogy between Sanskrit and European languages. 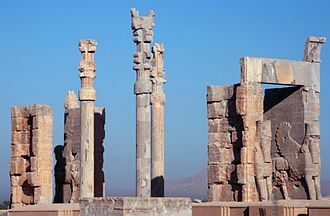 In 1786 Jones postulated a proto-language uniting Sanskrit, Iranian, Greek, Latin, Germanic and Celtic, but in many ways his work was less accurate than his predecessors', as he erroneously included Egyptian, Japanese and Chinese in the Indo-European languages, while omitting Hindi. ^ Bates, Crispin (1995). "Race, Caste and Tribe in Central India: the early origins of Indian anthropometry". In Robb, Peter. The Concept of Race in South Asia. Delhi: Oxford University Press. p. 231. ISBN 978-0-19-563767-0. Retrieved 2 December 2011. Edgerton, Franklin (2002) . 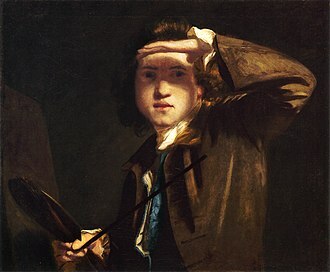 "Sir William Jones, 1746-1794". In Sebeok, Thomas A. Portrait of Linguists. Volume 1. Thoemmes Press. pp. 1–17. ISBN 978-1-441-15874-1. The Bishop of St Asaph heads the Church in Wales diocese of St Asaph. The diocese covers the counties of Conwy and Flintshire, Wrexham county borough, the Episcopal seat is located in the Cathedral Church of St Asaph in the city of St Asaph in Denbighshire, north Wales. The Bishops residence is Esgobty, St Asaph, the current bishop is Gregory Cameron, who was elected on 5 January and consecrated on 4 April 2009. He became Bishop of St Asaph in succession to John Davies, who was consecrated in October 1999 and this diocese was supposedly founded by St Kentigern about the middle of the 6th century, although this is unlikely. 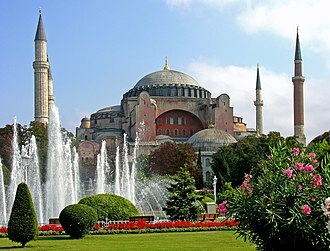 The date often given is 583, nothing is known of the history of the diocese during the disturbed period that followed. Domesday Book gives scanty particulars of a few churches but is silent as to the cathedral, a return made in the middle of the thirteenth century shows the existence of eight rural deaneries, seventy-nine churches, and nineteen chapels. By 1291 the deaneries had been doubled in number and there were Cistercian houses at Basingwerk, Strata Marcella and Valle Crucis, the cathedral, which had been burnt in the wars, was rebuilt and completed in 1295. At the time of its foundation, this Society was named as Asiatick Society. 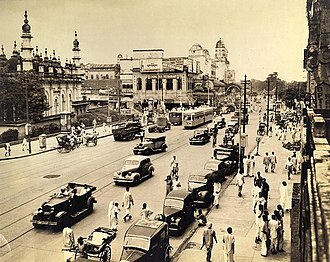 In 1825, the society dropped the antique k without any formal resolution, in 1832 the name was changed to The Asiatic Society of Bengal and again in 1936 it was renamed as The Royal Asiatic Society of Bengal. Finally, on 1 July 1951 the name of the society was changed to its present one, the Society is housed in a building at Park Street in Kolkata. The Society moved into this building during 1808, in 1823, the Medical and Physical Society of Calcutta was formed and all the meetings of this society were held in the Asiatic Society. 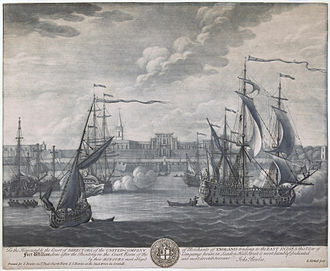 In January 1784 Sir William Jones sent out a circular-letter to a number of British residents of Calcutta with a view to establish a society for the Asiatic studies. At his inivitation, thirty British residents met in the Grand Jury Room of the Supreme Court on 15 January 1784, the meeting was presided over by Sir Robert Chambers. 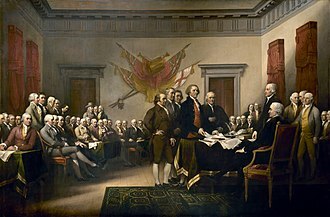 At this meeting, Jones explained the aims of the Society, notable early members were Charles Wilkins and Alexander Hamilton. Initially, the Grand Jury Room of the Supreme Court was used for the meetings of the members, the members were elected through ballot-voting. On 29 September 1796 the Society decided to have its own building, J. H. Harrington, Vice-President selected the corner of Park Street and Chowringhee Road for the Societys house. The site was granted to the society on 15 May 1805, the original plan for the new building was prepared by Captain Thomas Preston. The French architect, Jean Jacques Pichon made certain modifications to it and this 15,071 ft² building was built at a cost of Rs.30,000.00. The first quarterly meeting of the Society for 1808 was held at its new building on 3 February 1808, from 1784 to 1828, only Europeans were elected members of the Society. In 1829, at the initiative of H. H, on 12 December 1832 Ram Comul Sen was elected Native Secretary. Later, Rajendralal Mitra became the first Indian President in 1885, one of the main activities of the Asiatic Society was to collect the old manuscripts of India. William Jones, FRS was a Welsh mathematician, most noted for his proposal for the use of the symbol π to represent the ratio of the circumference of a circle to its diameter. 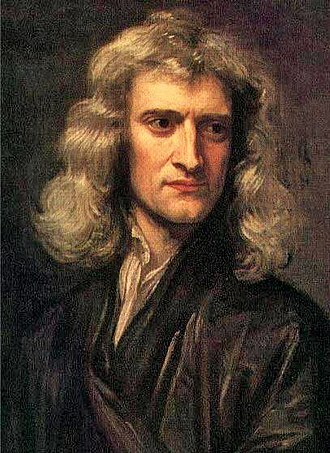 He was a friend of Sir Isaac Newton and Sir Edmund Halley. In November,1711 he became a Fellow of the Royal Society, William Jones was born the son of Siôn Siôr and Elizabeth Rowland in the parish of Llanfihangel Trer Beirdd, about 4 miles west of Benllech on the Isle of Anglesey. He owed his career partly to the patronage of the distinguished Bulkeley family of north Wales. In this work he applied mathematics to navigation, studying methods of calculating position at sea. After his voyages were over he became a teacher in London, both in coffee houses and as a private tutor to the son of the future Earl of Macclesfield. 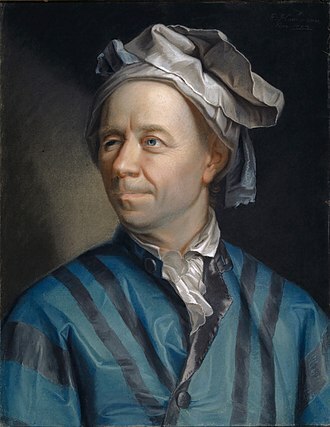 He held a number of undemanding posts in government offices with the help of his former pupils, Jones published Synopsis Palmariorum Matheseos in 1706, a work which was intended for beginners and which included theorems on differential calculus and infinite series. It is located in the wider Temple area of London, near the Royal Courts of Justice, and within the City of London. In the 13th century, the Inns of Court originated as hostels and schools for student lawyers, the Middle Temple is the western part of The Temple, the headquarters of the Knights Templar until they were dissolved in 1312. The Temple Church still stands as a church of the Inner. Most of the Inn is occupied by offices, known as chambers. One of the Middle Temples main functions now is to provide education, Middle Temple Hall is at the heart of the Inn, and the Inns student members are required to attend a minimum of 12 qualifying sessions there. Qualifying sessions, formerly known as dinners, combine collegiate and educational elements and will combine an dinner or reception with lectures, mooting. Middle Temple Hall is a venue for banqueting, receptions. In recent years, it has become a much-used film location—the cobbled streets, historic buildings, william Shakespeares Twelfth Night received its first recorded performance here, at the feast Candlemas in 1602. Multilingualism is the use of two or more languages, either by an individual speaker or by a community of speakers. It is believed that multilingual speakers outnumber monolingual speakers in the worlds population, more than half of all Europeans claim to speak at least one other language in addition to their mother tongue. Multilingualism is becoming a social phenomenon governed by the needs of globalization, people who speak several languages are called polyglots. Multilingual speakers have acquired and maintained at least one language during childhood, the first language is acquired without formal education, by mechanisms heavily disputed. Children acquiring two languages in this way are called simultaneous bilinguals, even in the case of simultaneous bilinguals, one language usually dominates the other. 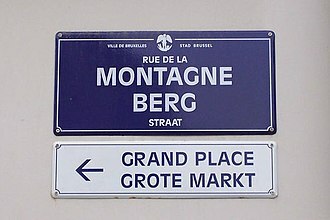 People who know more than one language have been reported to be adept at language learning compared to monolinguals. Multilingualism in computing can be considered part of a continuum between internationalization and localization, the definition of multilingualism is a subject of debate in the very same way as the definition of language fluency. On one end of a sort of continuum, one may define multilingualism as complete competence. The speaker would presumably have complete knowledge and control over the language so as to sound native, on the opposite end of the spectrum would be people who know enough phrases to get around as a tourist using the alternate language. Since 1992, Vivian Cook has argued that most multilingual speakers fall somewhere between minimal and maximal definitions, in addition, there is no consistent definition of what constitutes a distinct language. For instance, scholars disagree whether Scots is a language in its own right or a dialect of English. Many small independent nations schoolchildren are today compelled to learn multiple languages because of international interactions, for example, in, all children are required to learn at least two foreign languages, the other national language and one alien language. Many Finnish schoolchildren select further languages, such as German or Russian, in some large nations with multiple languages, such as India, school children may routinely learn multiple languages based on where they reside in the country. Founded in November 1660, it was granted a royal charter by King Charles II as The Royal Society. The society is governed by its Council, which is chaired by the Societys President, according to a set of statutes and standing orders. The members of Council and the President are elected from and by its Fellows, the members of the society. As of 2016, there are about 1,600 fellows, allowed to use the postnominal title FRS, there are royal fellows, honorary fellows and foreign members, the last of which are allowed to use the postnominal title ForMemRS. The Royal Society President is Venkatraman Ramakrishnan, who took up the post on 30 November 2015, since 1967, the society has been based at 6–9 Carlton House Terrace, a Grade I listed building in central London which was previously used by the Embassy of Germany, London. The Royal Society started from groups of physicians and natural philosophers, meeting at variety of locations and they were influenced by the new science, as promoted by Francis Bacon in his New Atlantis, from approximately 1645 onwards. A group known as The Philosophical Society of Oxford was run under a set of rules still retained by the Bodleian Library, after the English Restoration, there were regular meetings at Gresham College. It is widely held that these groups were the inspiration for the foundation of the Royal Society, I will not say, that Mr Oldenburg did rather inspire the French to follow the English, or, at least, did help them, and hinder us. But tis well known who were the men that began and promoted that design. This initial royal favour has continued and, since then, every monarch has been the patron of the society, the societys early meetings included experiments performed first by Hooke and by Denis Papin, who was appointed in 1684. These experiments varied in their area, and were both important in some cases and trivial in others. The Society returned to Gresham in 1673, there had been an attempt in 1667 to establish a permanent college for the society. 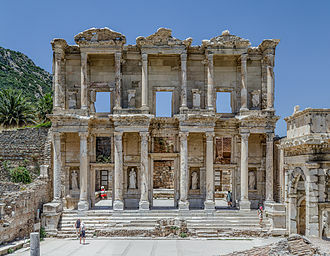 Michael Hunter argues that this was influenced by Solomons House in Bacons New Atlantis and, to a lesser extent, by J. V.
Anglesey or Ynys Môn is an island off the north-west coast of Wales. With an area of 276 square miles, Anglesey is by far the largest island of Wales, Anglesey is the largest island in the Irish Sea by area, and the second most populous island in the Irish Sea. The population at the 2011 census was 69,751, two bridges span the Menai Strait, connecting the island to the mainland, the Menai Suspension Bridge, designed by Thomas Telford in 1826, and the Britannia Bridge. A historic county of Wales and administrated as part of Gwynedd, Anglesey today makes up the Isle of Anglesey County along with Holy Island and other smaller islands. The majority of Angleseys inhabitants are Welsh speakers and Ynys Môn, Anglesey is derived from Old Norse, originally either Ǫngullsey Hook Island or Ǫnglisey Ǫnglis Island. No record of any such Ǫngli survives, but the name was used by Viking raiders as early as the 10th century and was adopted by the Normans during their invasions of Gwynedd. All of these derive from the proposed Proto-Indo-European root *ank-. It was spelled as Anglesea. Ynys Môn, the islands Welsh name, was first recorded as Latin Mona by various Roman sources and it was likewise known to the Saxons as Monez. The Brittonic original was in the past taken to have meant Island of the Cow and this view is linguistically untenable, according to modern scientific philology. The etymology thus currently remains a mystery, poetic names for Anglesey include the Old Welsh Ynys Dywyll for its former groves and Ynys y Cedairn for its royal courts, Gerald of Wales Môn Mam Cymru for its productivity, and Y fêl Ynys. Numerous megalithic monuments and menhirs are present on Anglesey, testifying to the presence of humans in prehistory, Plas Newydd is near one of 28 cromlechs that remain on uplands overlooking the sea. The Welsh Triads claim that Anglesey was once part of the mainland, Anglesey has long been associated with the druids. News of Boudicas revolt reached him just after his victory, causing him to withdraw his army before consolidating his conquest, the island was finally brought into the Roman Empire by Gnaeus Julius Agricola, the Roman governor of Britain, in AD78. 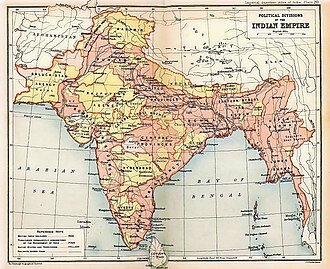 The culture of India refers collectively to the thousands of distinct and unique cultures of all religions and communities present in India. Indias languages, dance, architecture, the Indian culture, often labeled as an amalgamation of several cultures, spans across the Indian subcontinent and has been influenced by a history that is several millennia old. Many elements of Indias diverse cultures, such as Indian religions, Indian philosophy, India is one of the worlds oldest civilizations and one of the most populated countries in the world. 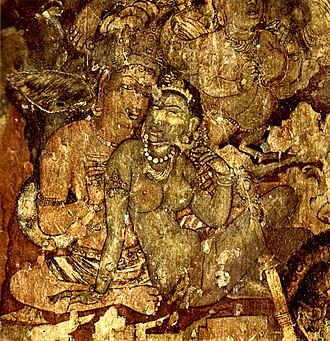 Throughout the history of India, Indian culture has heavily influenced by Dharmic religions. They have been credited with shaping much of Indian philosophy, architecture, Greater India was the historical extent of Indian culture beyond the Indian subcontinent. 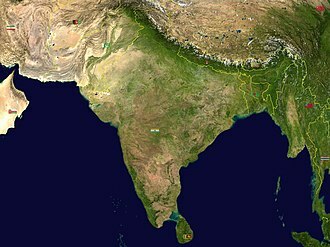 To the west, Greater India overlaps with Greater Persia in the Hindu Kush, over the centuries, there has been significant fusion of cultures between Buddhists, Muslims, Jains and various tribal populations in India. India is the birthplace of Hinduism, Buddhism and Sikhism, Indian religions are a major form of world religions along with Abrahamic ones. Today and Buddhism are the third and fourth-largest religions respectively, with over 2 billion followers altogether. Followers of Indian religions – Hindus, Sikhs and Buddhists make up around 80–82% population of India, India is one of the most religiously and ethnically diverse nations in the world, with some of the most deeply religious societies and cultures. Religion plays a central and definitive role in the life of many of its people, although India is a secular Hindu-majority country, it has a large Muslim population. Except for Jammu and Kashmir, Meghalaya, Nagaland and Lakshadweep, Sikhs and Christians are other significant minorities of India. According to the 2011 census, 80% of the population of India practice Hinduism, Christianity, Sikhism and Jainism are the other major religions followed by the people of India. 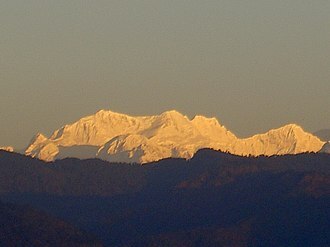 Many tribal religions, such as Sarnaism, are found in India, though these have been affected by major religions such as Hinduism, Islam, Zoroastrianism and the Baháí Faith are influential but their numbers are smaller. John Spencer, 1st Earl Spencer was a British peer and politician. 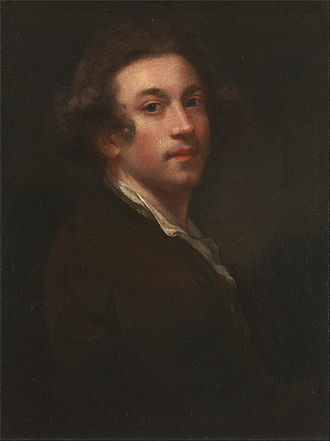 Spencer was born in 1734, at his home, Althorp. He was the son of Hon. John Spencer and Georgiana Caroline Carteret, Spencer was MP for Warwick from 1756 to 1761. He was High Steward of St Albans in 1772 and Mayor of St Albans in 1779, on 3 April 1761, he was created Baron Spencer of Althorp and Viscount Spencer by George III, and on 1 November 1765, he was created Viscount Althorp and Earl Spencer. On 20 December 1755, Spencer privately married Georgiana Poyntz, daughter of Stephen Poyntz and they had five children, Lady Georgiana Spencer, married William Cavendish, 5th Duke of Devonshire, and had issue. George John Spencer, 2nd Earl Spencer Lady Henrietta Frances Spencer, married Frederick Ponsonby, 3rd Earl of Bessborough, Lady Charlotte Spencer, died in infancy. Lady Louisa Spencer, died in infancy and he was the great-great-great-great-grandfather of Diana, Princess of Wales. Spencer died in 1783, aged 48 in Bath, and was buried in the vault at St Marys Church, Great Brington. The number π is a mathematical constant, the ratio of a circles circumference to its diameter, commonly approximated as 3.14159. 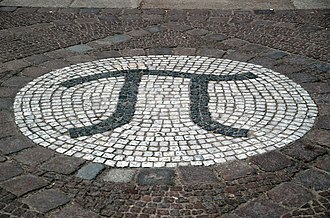 It has been represented by the Greek letter π since the mid-18th century, being an irrational number, π cannot be expressed exactly as a fraction. Still, fractions such as 22/7 and other numbers are commonly used to approximate π. The digits appear to be randomly distributed, in particular, the digit sequence of π is conjectured to satisfy a specific kind of statistical randomness, but to date no proof of this has been discovered. Also, π is a number, i. e. a number that is not the root of any non-zero polynomial having rational coefficients. This transcendence of π implies that it is impossible to solve the ancient challenge of squaring the circle with a compass, ancient civilizations required fairly accurate computed values for π for practical reasons. 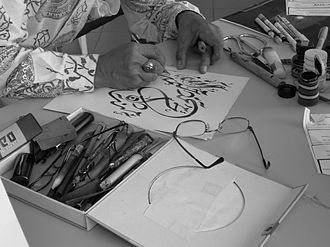 It was calculated to seven digits, using techniques, in Chinese mathematics. The extensive calculations involved have used to test supercomputers. Because its definition relates to the circle, π is found in many formulae in trigonometry and geometry, especially those concerning circles and spheres. Because of its role as an eigenvalue, π appears in areas of mathematics. It is found in cosmology, mechanics, attempts to memorize the value of π with increasing precision have led to records of over 70,000 digits. In English, π is pronounced as pie, in mathematical use, the lowercase letter π is distinguished from its capitalized and enlarged counterpart ∏, which denotes a product of a sequence, analogous to how ∑ denotes summation. The choice of the symbol π is discussed in the section Adoption of the symbol π, π is commonly defined as the ratio of a circles circumference C to its diameter d, π = C d The ratio C/d is constant, regardless of the circles size. For example, if a circle has twice the diameter of another circle it will have twice the circumference, preserving the ratio C/d. This definition of π implicitly makes use of geometry, although the notion of a circle can be extended to any curved geometry. 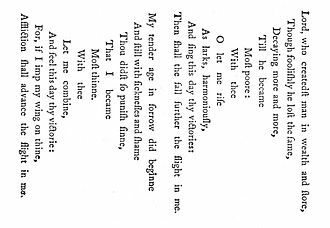 George Herbert's "Easter Wings", a pattern poem in which the work is not only meant to be read, but its shape is meant to be appreciated. In this case, the poem was printed (original image here shown) on two facing pages of a book, sideways, so that the lines suggest two birds flying upward, with wings spread out. The Logic Lane covered bridge above Logic Lane running through University College, as viewed from the High Street. Ancient Assyrian antiquities in the British Museum. 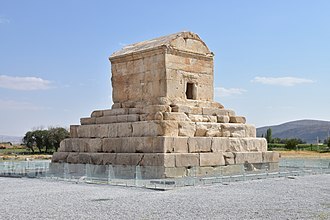 In the 19th century the placing of spectacular antiquities in the new museums brought unusual interest from the general public to Oriental studies. Part of Middle Temple, c. 1830, as drawn by Thomas Shepherd. The great hall is beneath the cupola. 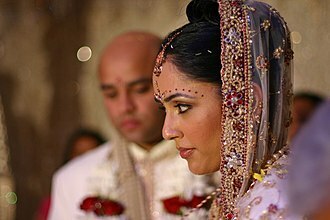 A bride during a traditional Hindu wedding ceremony in Punjab, India. Bride in Sari and Groom in Sherwani in a Hindu Indian wedding. A Hindu wedding ritual in progress. The bride and the groom are seated together, receiving instructions from the priest. The sacred square fire container (yajna kund) is behind the priest. Rangoli artwork is usually made during Diwali or Tihar, Onam, Pongal and other Hindu festivals in the Indian subcontinent. The tomb of Sir William Jones. 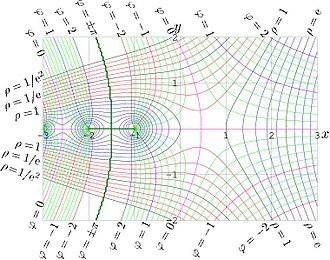 Complex analytic functions can be visualized as a collection of streamlines and equipotentials, systems of curves intersecting at right angles. Here illustrated is the complex logarithm of the Gamma function. Lord Spencer by John Singleton Copley, 1800. The Asiatic Society building. April 2013.